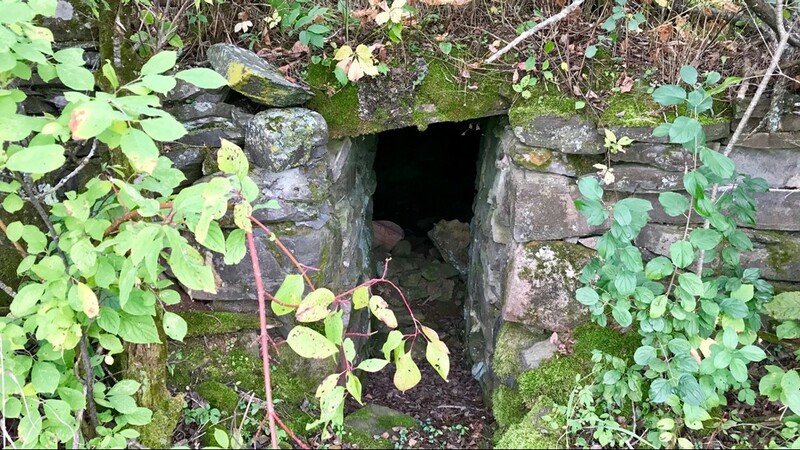 Entrance to the Soderberg root cellar, near Moose Lake, Minnesota. 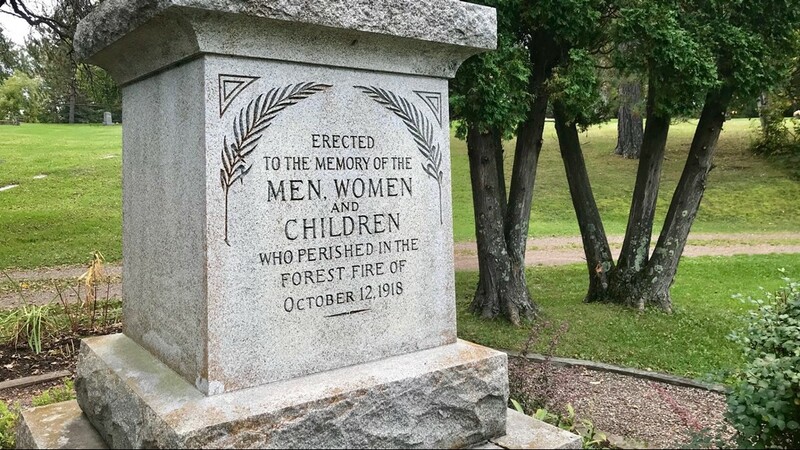 Fire monument in Moose Lake, Minnesota. 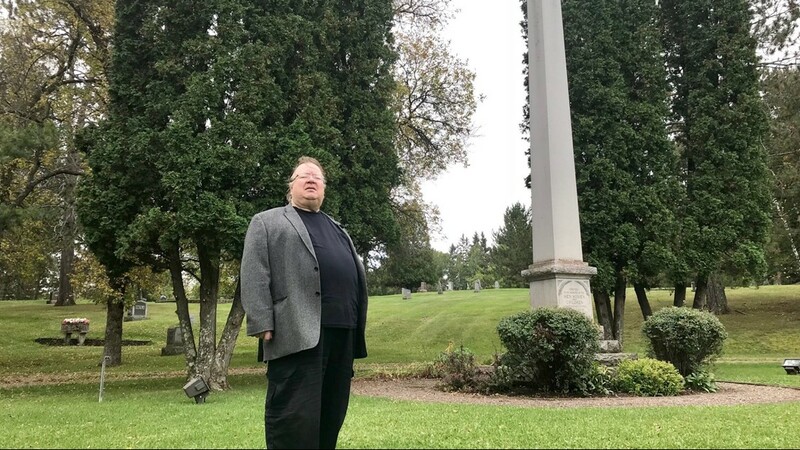 Local historian Dan Reed stands in front of the Moose Lake fire monument. 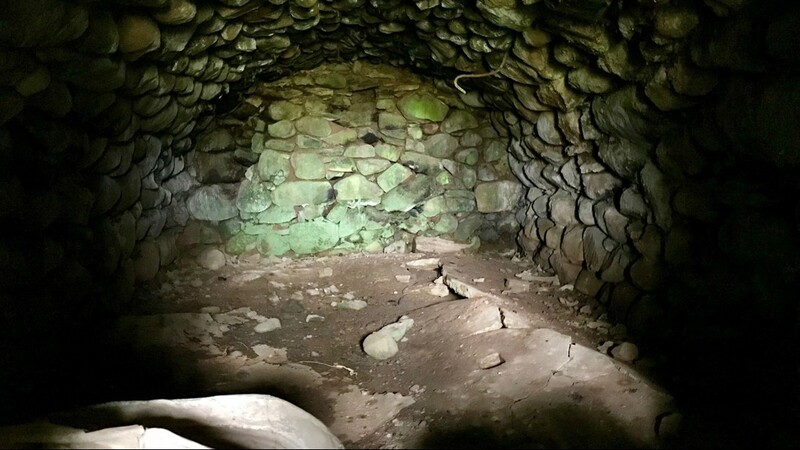 Interior of the Soderberg root celler. 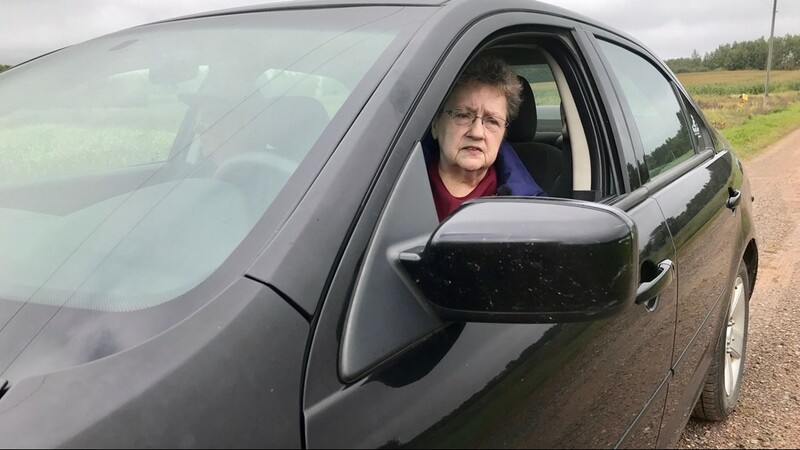 Lois Johnson drives past the Soderberg root cellar daily. 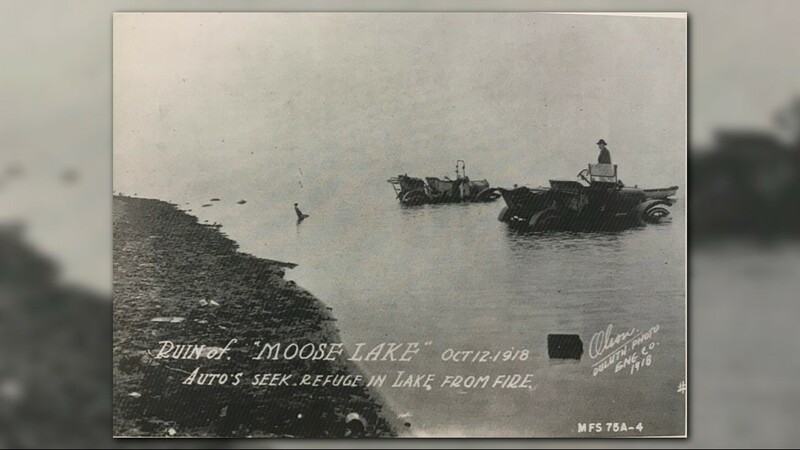 Cars driven into Moosehead Lake by their owners to escape the 1918 fire. 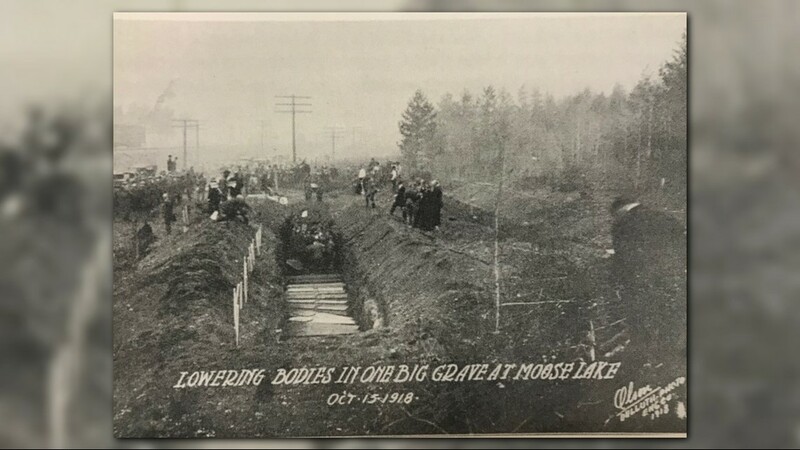 Mass burial of fire victims in Moose Lake, Minnesota. 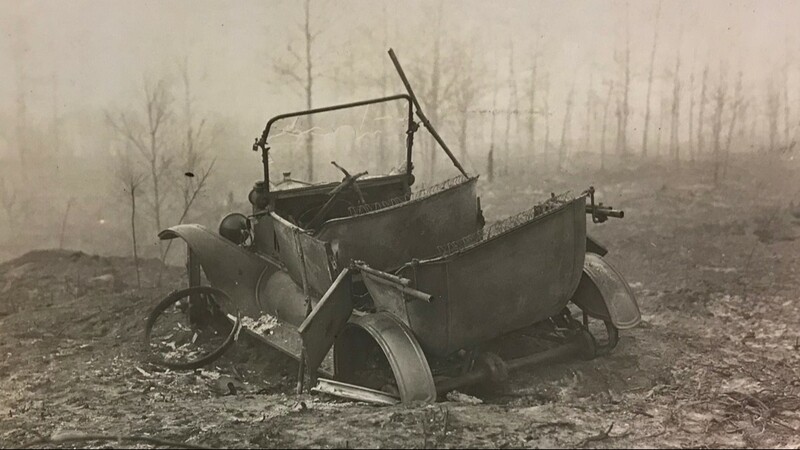 Scores of people died trying to outrun the 1918 fires. 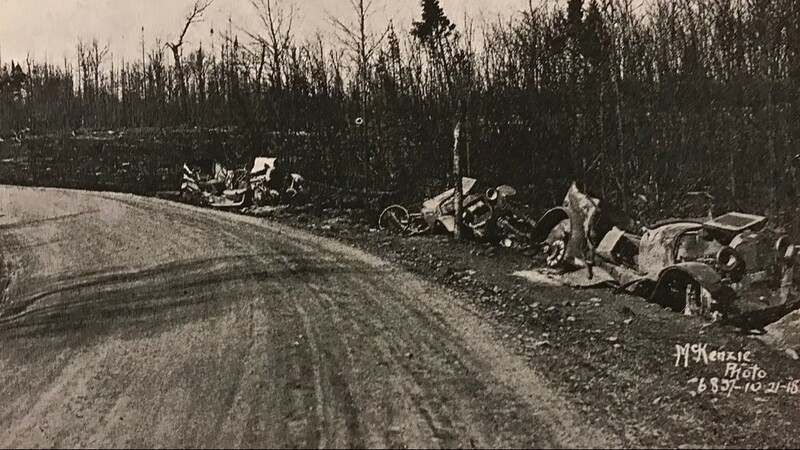 Burned cars along a curve after the 1918 fire. 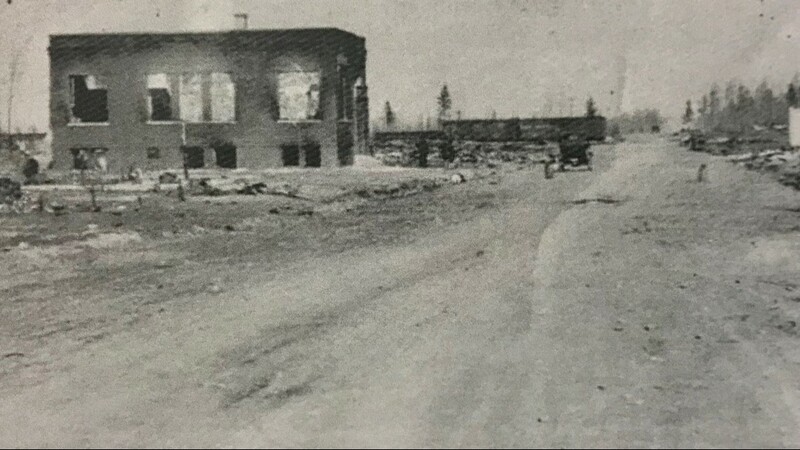 Cloquet, Minnesota following the 1918 fires. 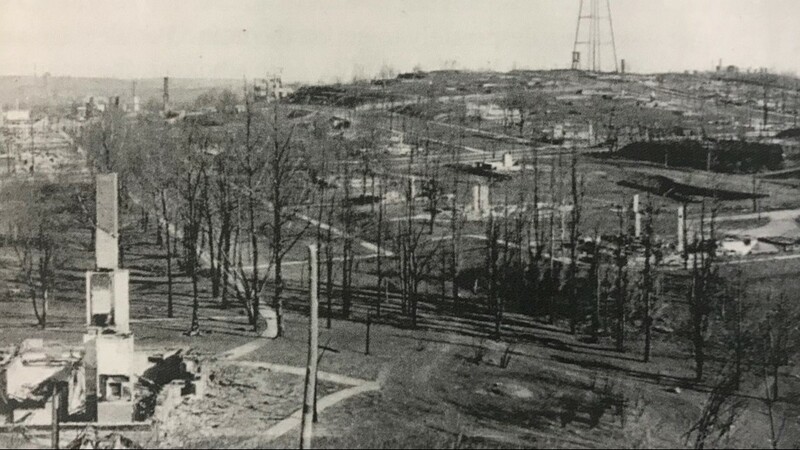 The Kettle River Bank, burned during the 1918 fires. 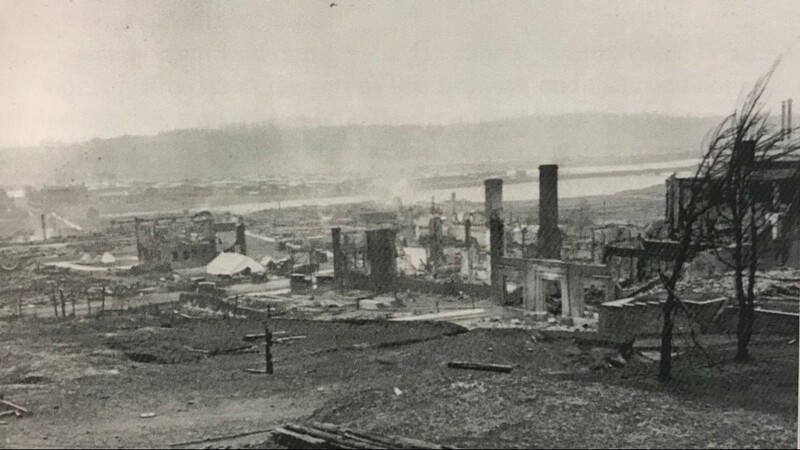 Cloquet burned to the ground in the 1918 fires. 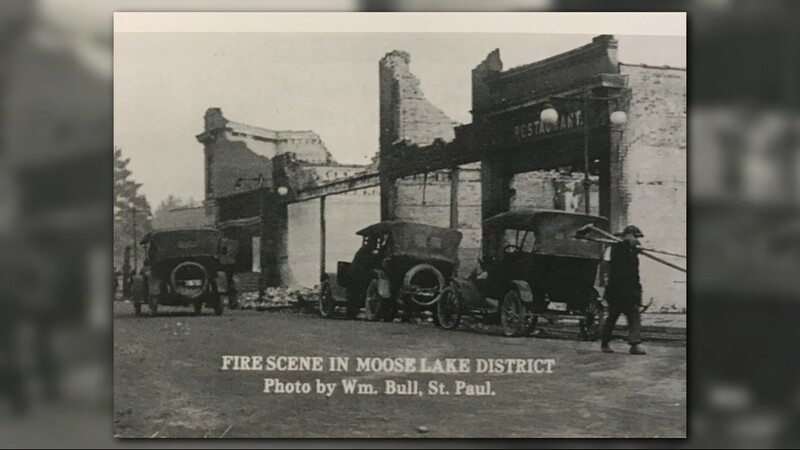 Downtown Moose Lake following the 1918 fires. 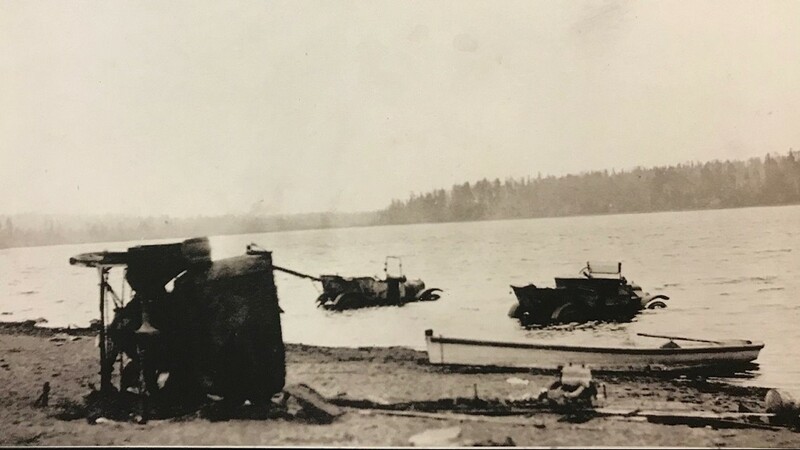 Cars driven into the Moosehead lake during the 1918 fires.